Does the Count starter tiles exist as 1 tile? Just a curiousity, if anyone knows of some releases with this available as 1 large tile. Re: Does the Count starter tiles exist as 1 tile? 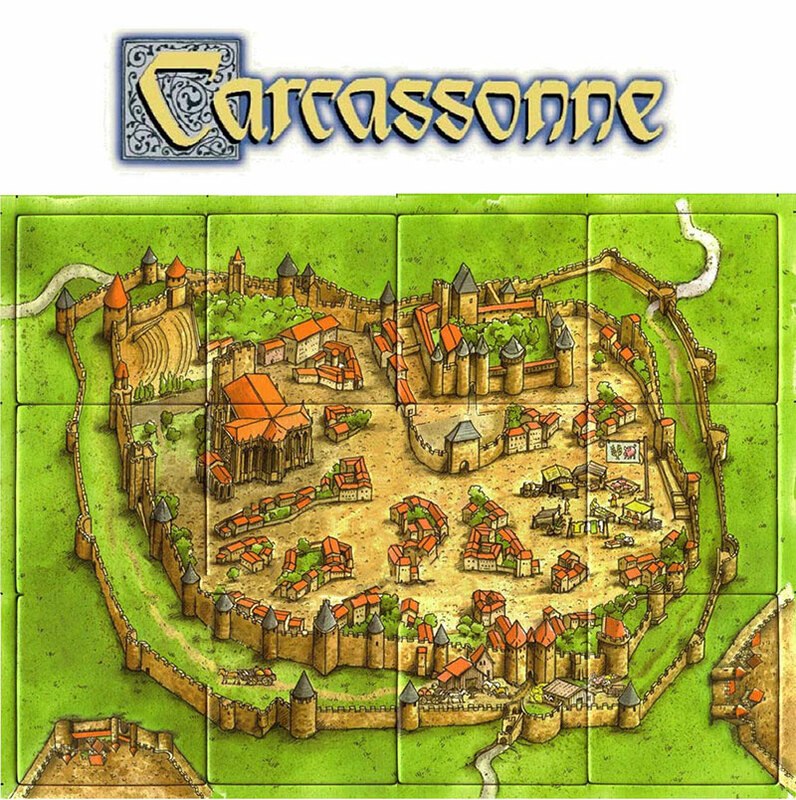 The City of Carcassonne has 12 landscape tiles. I never saw the City as one lage tile like the Wheel of Fortune. Looks better than the mashup I did. Thank you! Someone should go in and try to content aware away those seems so it looks fluid. If it's a fully printable city, why bother having the interior squares. I'd say only keep the square lines on the outside. EDIT: Though I must add I like outer the lines. Helps positioning the other tiles. Spoke too soon. Was easier than I thought. Here's just a partial work done in mere seconds. Not pretty but you can see it's possible. I used the .pdf file downloaded from CC provided by Scott and the Content-Aware Move feature in Photoshop CS6.